The Coast Guard Marine Board of Investigation has released its final report into the sinking of the El Faro on October 1, 2015. 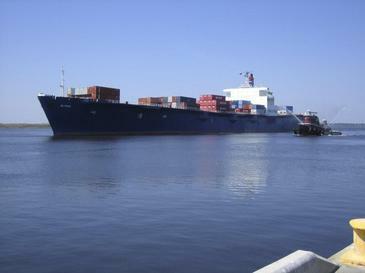 The Board found that the El Faro's operator, TOTE, did not ensure the safety of marine operations for the vessel and did not identify the risks posed by Hurricane Joaquin before her final voyage. The National Transportation Safety Board (NTSB) is conducting its own, parallel review of the El Faro tragedy in cooperation with the Coast Guard. NTSB plans to meet on December 12 to vote on its conclusions. On September 30, 2015, at 2:00 a.m., El Faro left Jacksonville, Florida for San Juan, Puerto Rico, carrying a cargo of 391 shipping containers, about 294 trailers and cars, and a crew of 33 people—28 Americans and 5 Poles. At the time of departure, Hurricane Joaquin was still a tropical storm, but meteorologists at the National Hurricane Center forecast that it would likely become a hurricane by the morning of October 1, on a southwest trajectory toward the Bahamas. Former crew members of El Faro expressed surprise and shock that the vessel set sail with a major storm in its course. They said the vessel was "a rust bucket" that "[was not] supposed to be on the water."